Our team gathered at LAX on the morning of November 19th. In typical ROWW fashion this was the first time several team members had met. Our journey to the small town of Tabontabon, on the Typhoon ravaged island of Leyte, consisted of 18 hours in the air, 7 hours on a ferry, and three hours in a caravan of vehicles for a total of 8,000 miles. After our brief connection in Seoul, South Korea, we arrived just after midnight in the port city of Cebu. Despite our massive cargo load we breezed through customs and successfully rendezvoused with our three local contact s who helped us secure transportation to a Mariners bunk house. Having found storage for our gear in a spare closet, our team settled down for a brief but much needed four hours of sleep in an icy cold dorm room. Our travels resumed at 0600 the morning of November 21st. The hours leading up to our ferry's departure were spent acquiring additional medical supplies and fresh water for our team. We even managed to assist in a food sorting operation which was taking place in the lobby of the bunkhouse. As the departure time grew near we found ourselves facing a shortage of vehicles to transport our supplies and personnel to the dock. As we stood at the curb facing our mountain of gear and the corresponding transportation dilemma it created the locals took notice and, moments later, we had a caravan of volunteer local drivers shuttling us to the dockside. Once at the boat we witnessed truly organized chaos as the rusty ferry was loaded with everything from personal luggage to cargo trucks. With the assistance of several porters we successfully loaded our small mountain of equipment and settled in for the 6+ hour ferry ride to the island of Leyte. While cruising slowly across the Pacific we met several survivors from the city of Tacloban and the surrounding areas who had lost everything and, after transporting their families out of Leyte, were returning home for the slow process of rebuilding. Dark clouds began to gather on the horizon and as we sailed on our vessel was met with blinding rain which, thankfully, dissipated after a few minutes. We landed in the harbor town of Hindang at 1830 and were greeted by more local contacts who provided us transport to the town of Baybay. Our mini caravan pulled into the house of the local mayor just as the clouds opened up and sent down another downpour. We were greeted by a warm meal prepared by our very gracious hosts and provided with lodging for the evening. After a night of much needed sleep we set out for west coast of the storm ravaged island on the morning of November the 22nd.. Reports of security in the area were spotty at best, and we were fortunate to be assigned a security detail. As we traversed across the two lane highway which cut through the island the lush jungle gave way to scenes of complete devastation. Homes lay in complete ruin as far as the eye could see. Downed power lines were everywhere and uprooted trees scattered the landscape. As we neared our final destination we came across motorcycle accident involving two passengers on a single bike. There was no hesitation by our team and we pulled over to assist immediately. Following patient assessment it was determined that the best course of action was to take the driver to her nearby home. Two of our team members transported the motorcycle and the two cyclists rode in one of our vehicles. Back on the road we continued our slow trek toward the capital of Tacloban. Children stood at the side of the road with signs asking for food and the devastation seemed to increase with every kilometer that brought us farther North. We began to seek an area that we could operate and the rain began to pour. At a UNICEF base camp we could not secure lodging for our team. A nearby hospital that was not yet operating was our second stop but our security detail frowned on the safety of the team at this location so we pressed on. In our third stop in the city of Tananuan we found a very busy field hospital with adequate staffing but all remaining lodging had been taken. Our hopes began to dim at this point- how can you hope for shelter for your crew when almost everything has been destroyed? 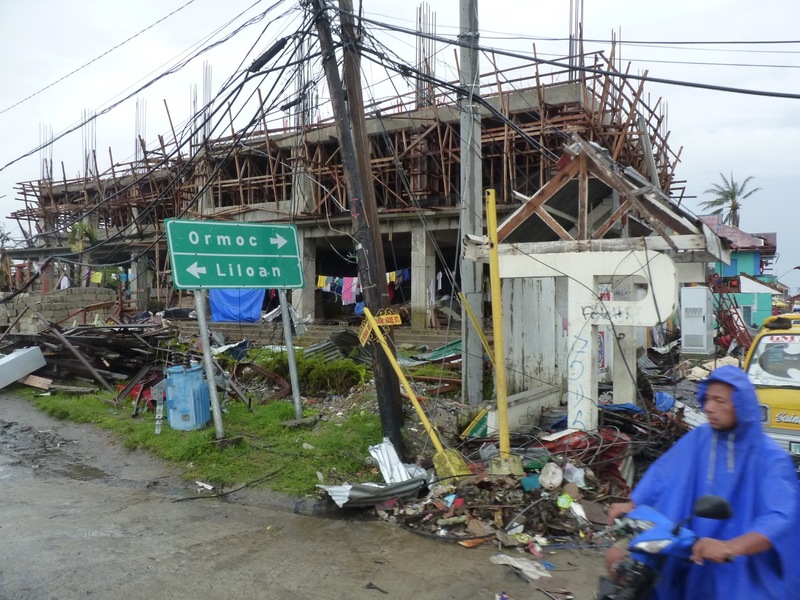 Despite the grim reality which stared us down our hopes were renewed by a gentlemen we encountered who told us of a nearby town which had received no help following the super typhoon. We arrived in the small town of Tabontabon sometime around 1530 and were immediately greeted by the town's Mayor. 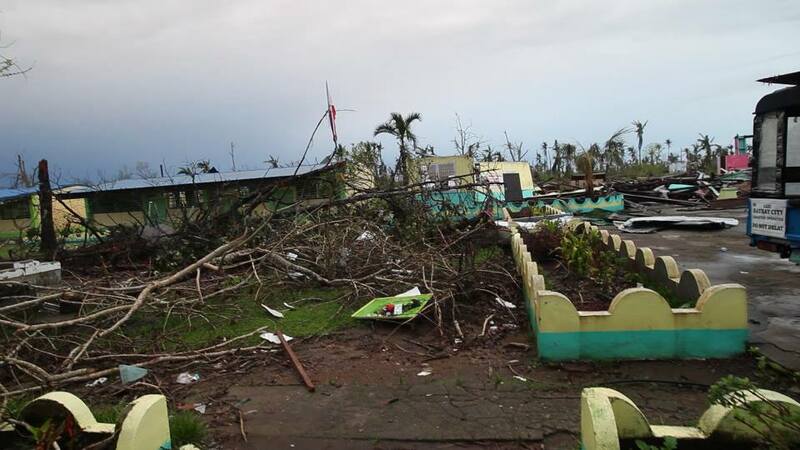 This humble farming community is home to approximately 9,000 residents and it's sole medical clinic had been badly damaged. Our arrival quickly generated interest among the locals and as the rain continued to fall we were met with their questioning stares as we toured the damage. With much of the town lying in shambles our one remaining hope was, at the suggestion of the mayor, a single elementary school classroom. We immediately agreed to give it a look and, after a quick inspection, we were overjoyed to find the roof in good condition and made the decision to set up our operation here. After a quick sweep of the concrete floor we set to pushing desks together to serve as make-shift bunks. After unloading our personal gear we set to making our plans for the next day. 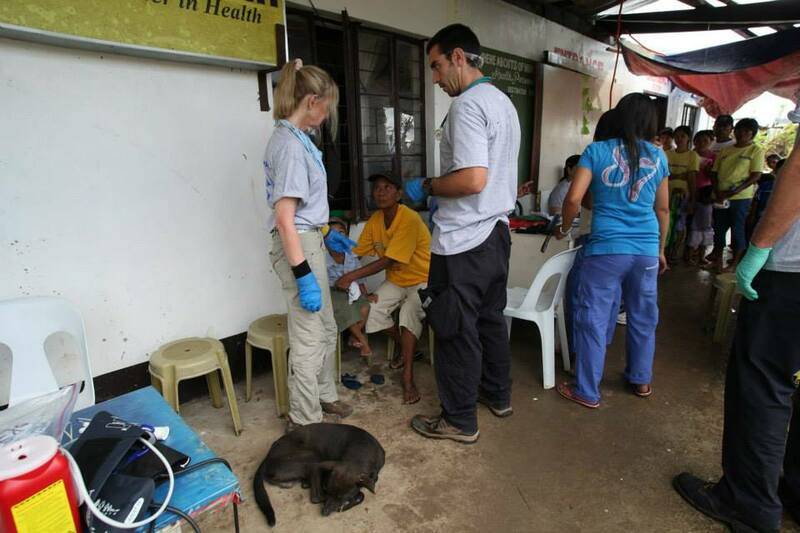 Our goal was to set up operations at the town's clinic and augment the limited staff and supplies they had. As night began to fall we settled in on our make-shift beds anticipating the busy days ahead. We woke up somewhere around 3 in the morning to the crowing of roosters and the pounding of rain on the metal roof. . It was pointless to hope for any further sleeping time and so we slowly began to prepare for the work ahead of us. 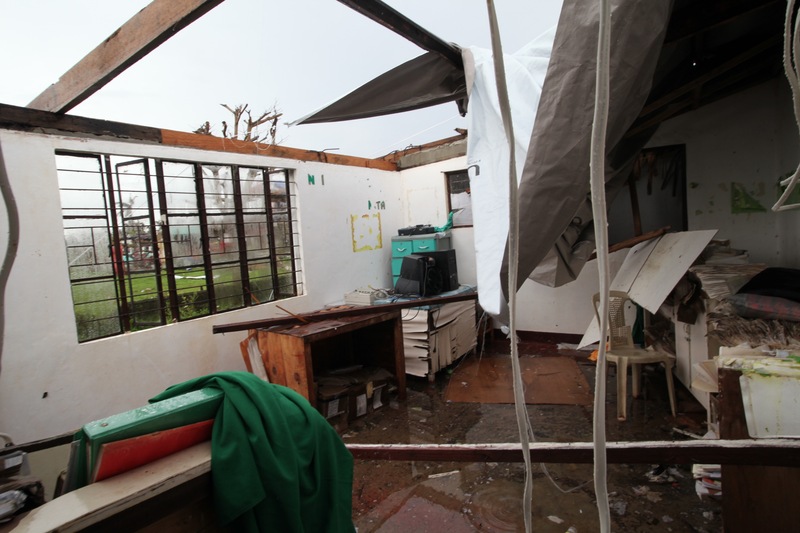 We combed through the piles of medical equipment we had managed to gather both in the States and the town of Cebu. Knowing it was about to be put to use made the seemingly endless process of unloading and loading worth it. As we headed to the clinic around 0700 the threat of rain continued to be a concern. With almost no overhead protection (the roof had been blown away) we established a small treatment area on the front patio of the clinic and utilized tarps we had brought to create a covered waiting area for the anticipated patients. As team members scaled the remaining walls to secure the tarps with parachute cord people began to arrive. The line grew quickly from 10 to 20, and in little time it was stretching well beyond the covered area that we had been able to create. After one final pre-game meeting we began to see patients. 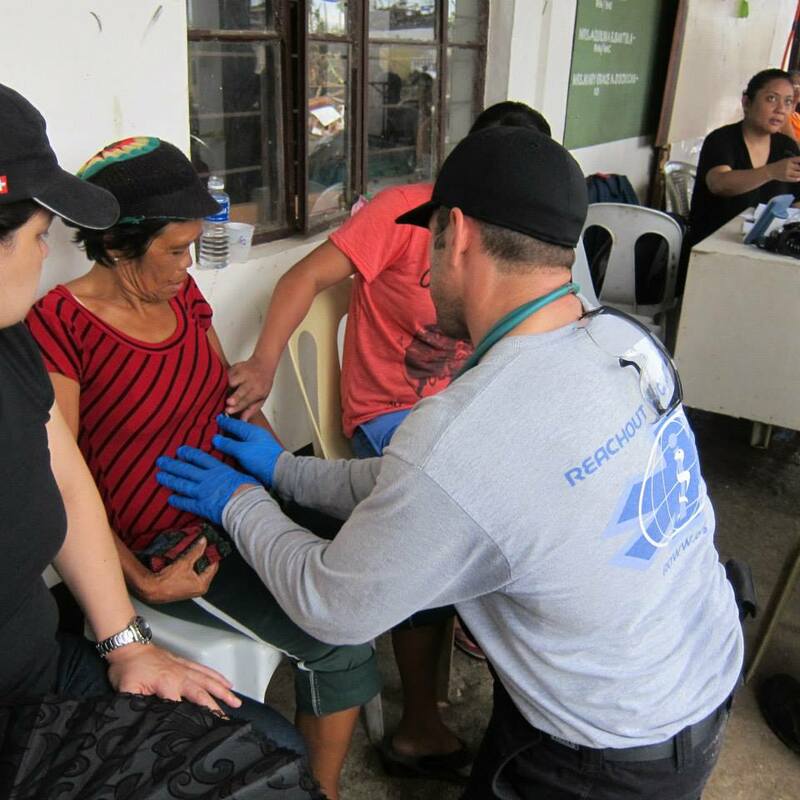 Our Philippine based team members served as interpreters and gathered preliminary patient information. In addition, they established a patient order and saw that it was followed by the now very large crowd. Our team worked endlessly for the next nine hours without breaks and ate and drank between the endless stream of patients that continued to arrive. Countless people had infections from puncture wounds sustained from storm debris. Many more suffered from dehydration as a result of drinking contaminated water and were being stricken with diarrhea. A heartbreaking number of children were affected with scabies but, after locating some much needed medicine in the clinic, were able to receive treatment. While team members treated patients our photographer toured the surrounding neighborhood locating patients who could not get themselves to our location and coordinated their transport with local drivers. Patients who were beyond our scope of treatment, suffering from infected and gangrenous wounds, were gathered up and transported to the field hospital in Tananuan. Our team worked tirelessly as the patients continued to arrive. We were grateful for the chance to clean wounds and provide the necessary medicines to stop the infections. 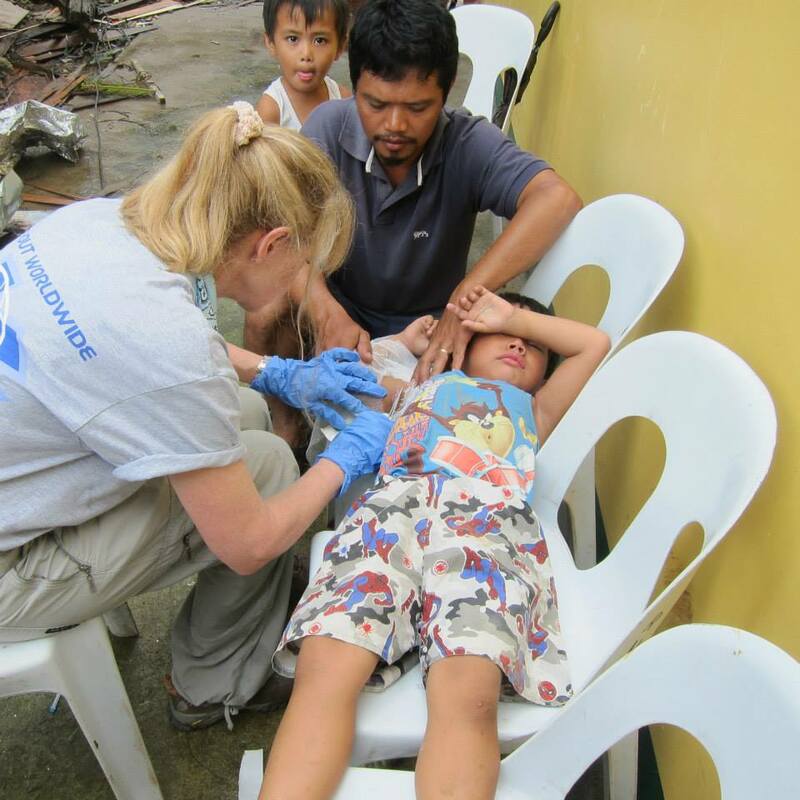 We were blessed to be able to provide tetanus shots and medicines to halt diarrhea. As the days end drew near we informed the still large crowd that we would be seeing patients the following day. After treating the final patient for the day we cleaned up and slowly walked back to our sleeping quarters exhausted but in good spirits. Showers consisted of buckets of water dumped overhead and dinner was once again a combination of peanut butter and trail mix. As we wound down from the day the clouds parted and we enjoyed a night free of rain and a sky full of stars, but as the mosquitos began to swarm we retreated to the protection of our sleeping bags. The second day of our clinic proved just as busy as the first but, rather than the cloud cover we enjoyed the day before, we were forced to work in the harsh sun. In addition to treating patients the team kept a watchful eye on one another and made sure that everyone was staying hydrated. Again, there were no breaks and food and water were consumed between patients. More infections. More scabies. People needing fresh bandages and old wounds cleaned. Countless mothers holding their babies waited hours to be seen. The elderly of the town stood hopeful to find medicines that they had lost in the storm. As the day's end drew closer we began to see only the babies in the crowd. Once they were treated we moved on to the smallest children and eventually came back to the remaining adults. The sky began to darken as we moved into our final hour of operation. Although our transportation back to Baybay was due to arrive soon we treated our final patient just after 1700 hours and our final patient count registered just over 300. What remained of our medical equipment we gladly donated to the local clinic. We were also happy to learn that an international medical team would be establishing a weekly medical clinic for the town the following week. We said goodbye to the hospital staff and locals who had quickly become our friends and who proved to be invaluable throughout the operation. Having loaded the vehicles we began the first leg of our 8,000 mile journey home. 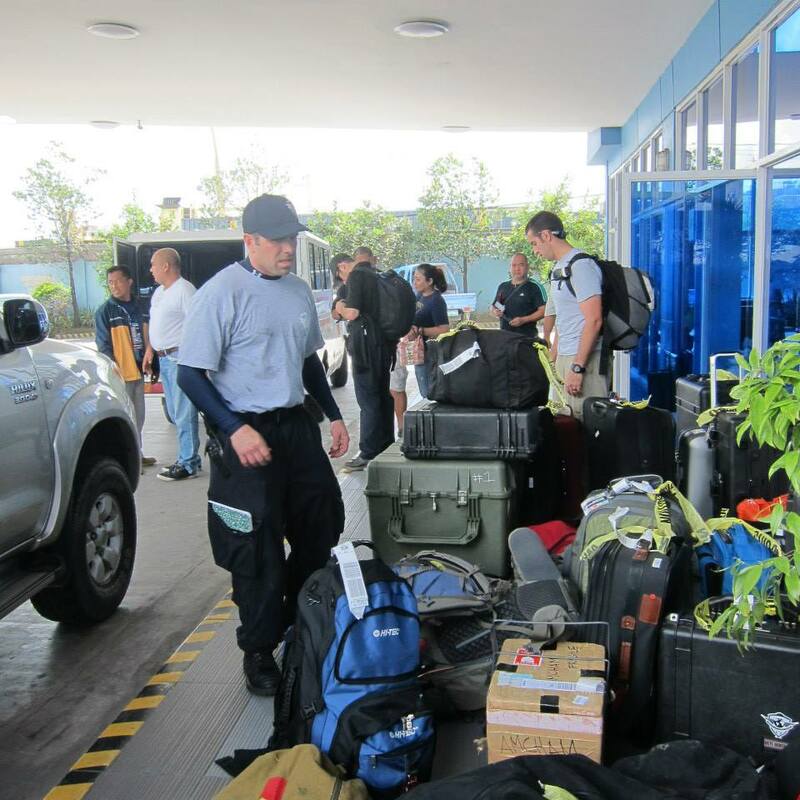 I'm proud to say that we accomplished our mission and operated extremely well as a disaster medical team. This is my fourth ROWW deployment and my third international response. I am extremely proud to be a member of this organization and am honored for the opportunity to work alongside the people who make up the workforce. Thank you to the families and friends of our volunteers who provide much needed rides to airports, who take care of our families while we're away and who keep us in their prayers throughout the course of our deployment. 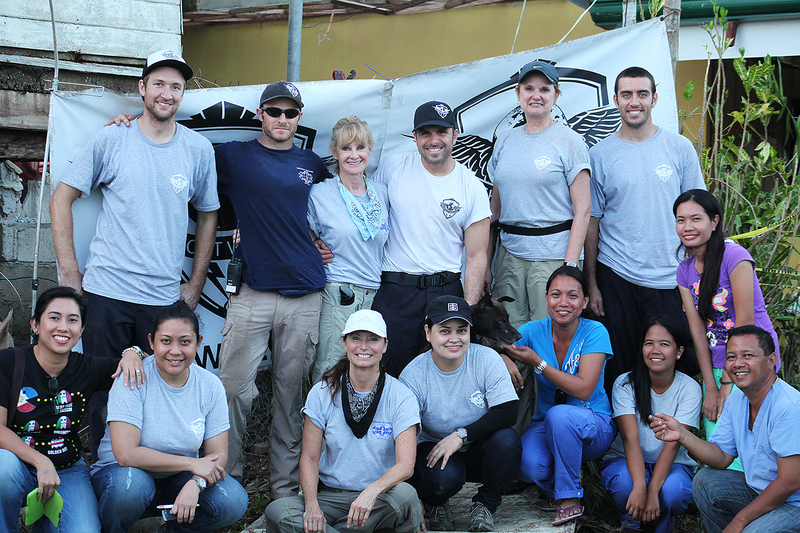 Thank you to our dear friends in the Philippines and around the world who have assisted on our deployments. Thank you to all of our sponsors who provide the tools and equipment we need to accomplish our missions. Finally, thank you to the thousands of people who continue to help spread the word of Reach Out World Wide's incredible mission. We have no cell signal where we are at right now, please let our families know that we are safe. Here is how our trip has gone so far: We flew from Seoul Korea to Cebu, then took a 5 hour boat ride to Ilogos, then took a truck to the city of Baybay. We were able to stay with the Mayor of Baybay for a night. 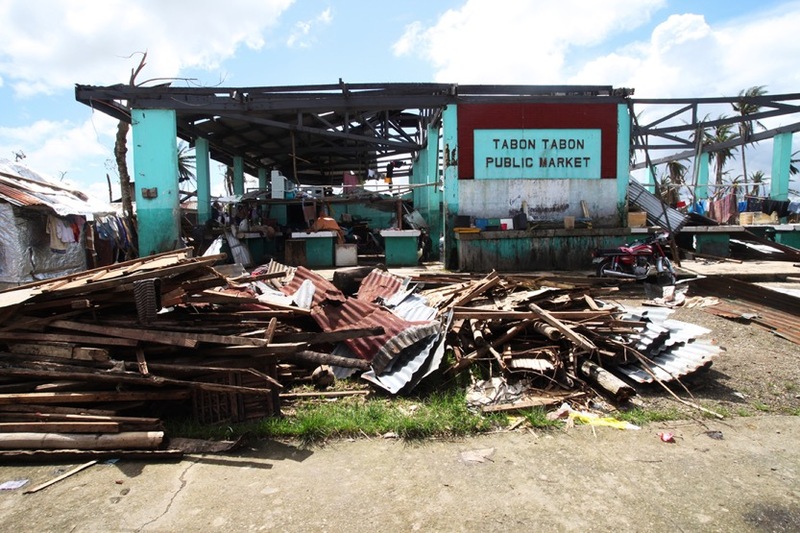 He then provided us with an armed security detail and a 3 truck caravan to the devastated city of Palo and then we traveled to the city of Tanauan where we met the Mayor of Tabontabon who asked us to come to his town. Tabontabon is approximately 20 miles south to town of Palo. We met a medic here that has had no international assistance and has been treating approximately 100 people a day, so they're very glad we are here. We are staying in a room at the local school house nearby and are prepared to treat another 100+ people today. Following up from our clean water initiative with Waves for Water our Intel on the ground told us that medical support was imminent. 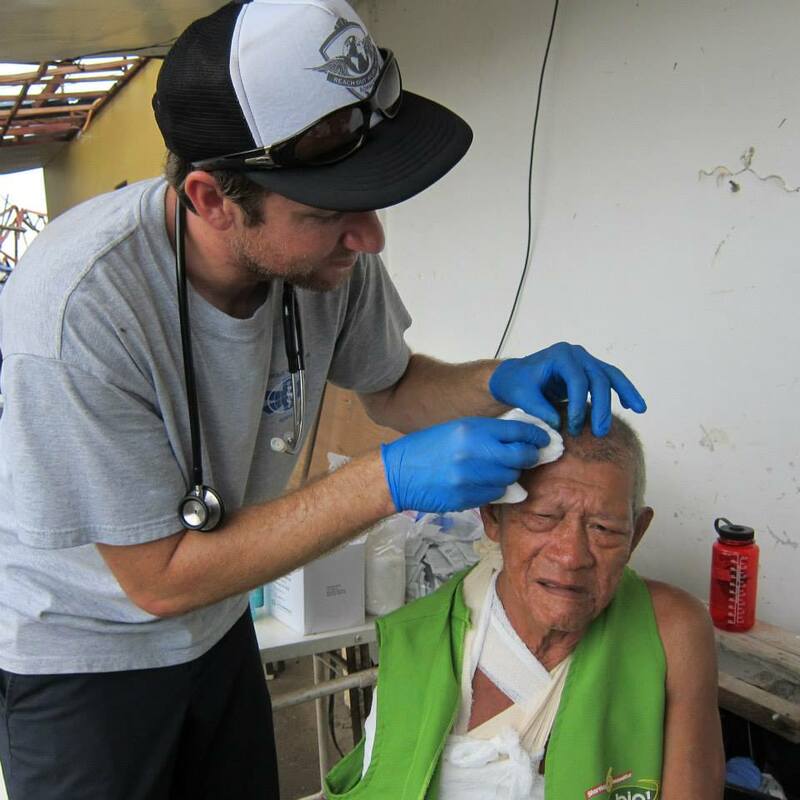 Reach Out WorldWide sent a team of trained medical professionals and first responders to an area desperately in need of aid. 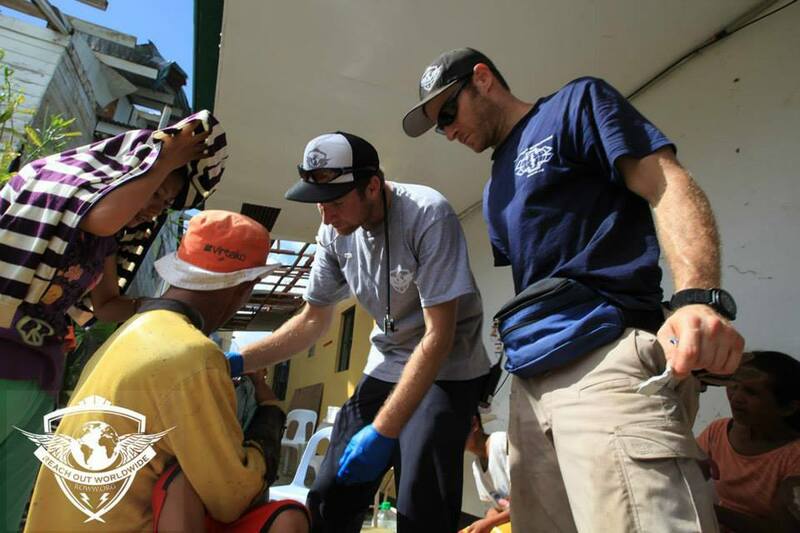 The team will arrive in Cebu and take a ferry to the city of BayBay where over 100,000 have been affected. Thanks to the help of locals we have identified the only functional hospital in over 10 towns where we will set up a clinic. From there the team will venture out into the surrounding areas to assist victims. Given this area is very remote we may only have satellite phone communication with the team on the ground but we will do our best to keep the updates coming and keep people informed. Thank you for your interest and for continuing to support ROWW. 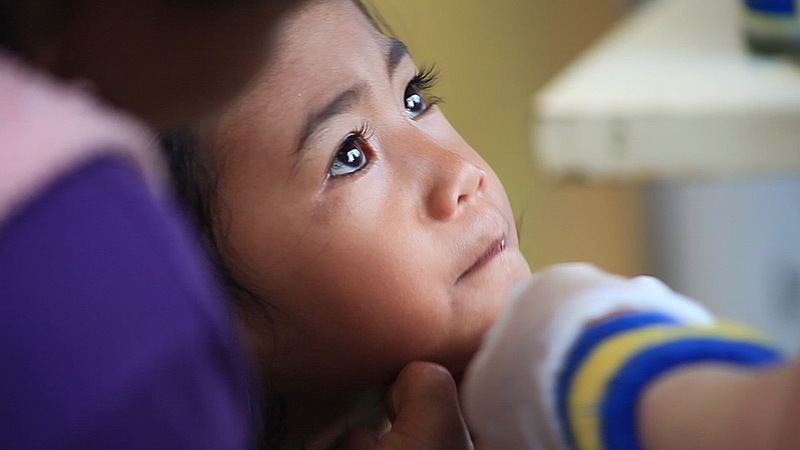 REACH OUT WORLDWIDE JOINS FORCES WITH WAVES FOR WATER TO HELP VICTIMS OF SUPER TYPHOON HAIYAN. The total destruction of the largest storm ever recorded is still unknown but is expected to be catastrophic. 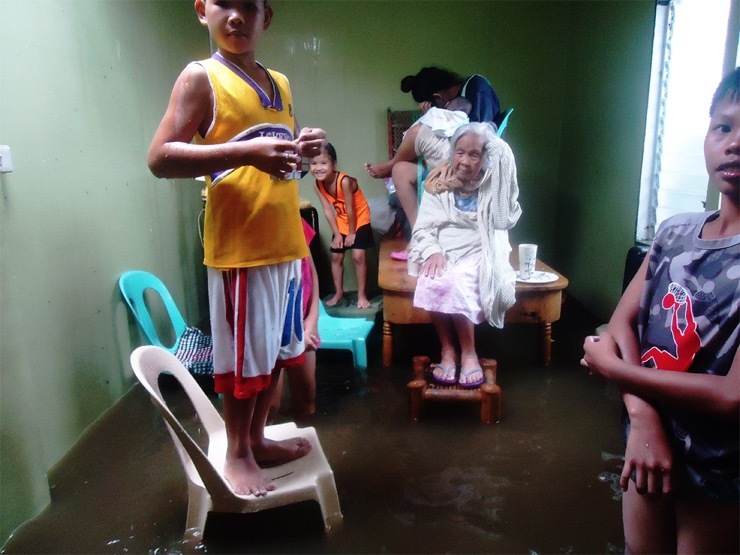 Reach Out WorldWide is reacting quickly to provide help to people in the Philippines. We have initiated a deployment with Waves For Water to address imminent needs and provide approximately 20,000 people access to clean water. ~ Lucas Wimer / ROWW / Director of Operations. Since 2010, ROWW has been successfully fulfilling the unmet need domestically and internationally. From the Chilean tsunami where we previously worked with Waves For Water, to the recent tornado in Oklahoma, we understand that a fast response means the difference between life and death. Natural Disasters don’t give us much warning. Our mission is simple, use our network of professionals with first responder skill-sets to fulfill the unmet need in times of chaos, tragedy, and destruction giving families a chance to rebuild. Paving the way for long term disaster relief, leaving it better than when we got there.